Retirement Planning – How should Retirement Income look like in Singapore? Me: Oh ok…congrats! But, do you mind me asking, why do you need to study a doctorate in retirement? Me: I don’t think you are serious. Your “PhD” means you are retiring soon right? Me: What can be “new” about retirement? People stop work and draw down on their savings. We just have to help them save and invest to have enough for the drawdown. No? Me: As in old, older and oldest? There are 2 common methods to calculate how much we need for retirement – Capital Liquidation Method and Capital Conservation Method. Whichever method is chosen, the goal is to provide enough income in retirement after the effect of inflation has been taken into account. A sample standard retirement plan may look like this where we plan to have an income equal to 2/3 of our projected last earned income for a period of about 20 to 30 years with an inflation adjusted for rate of return between 2%-4% (very financial planner language right?). This is probably the only exercise we do when we plan exactly when we should die and that’s not a fun thing to do at all! Nowadays, there are many tools to help you make this calculation. A good example is the CPF Retirement Estimator and my personal favorite is the Aviva Retirement Calculator. While paper calculations and projections are important to get a sense of the amounts of money needed to retire in comfort, there is another important part to the whole retirement equation – what actually happens in real life. For most people, retirement comes in 3 Phases. This is the phase that we typically associate with retirement. Holidays, fun, seeing the world, spending time with loved ones, spending time on hobbies, happy hours, cruises, gifts and perhaps, even working because we enjoy our work so much. This is the time to “Go” do the things we’ve always wanted to do. Lifestyle expenses are expected to be high during this phase. During this phase which can be a big part of retirement years, we can still do all the things in the “Go-Go” years but we no longer want to do them or want to do as much of them. 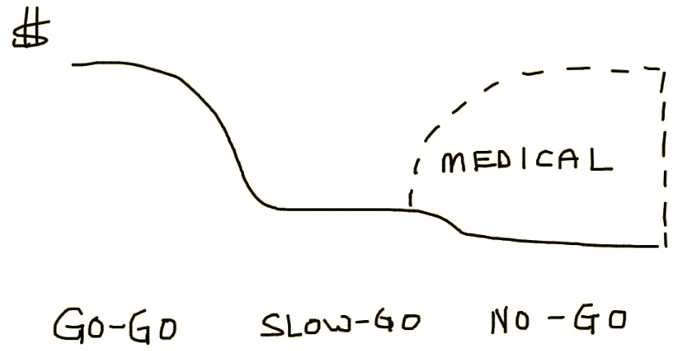 Health and energy are usually the main reasons to “Slow” down into a more regular and fixed lifestyle. Expenses start to stabilize during this phase. This is the least fun part of retirement because we can “No” longer do the things in phase 1. While it’s not fun, it is still part of retirement. Health and the loss of independent living are the possible reasons to cause us to enter into this phase. Living expenses are usually at a minimum but medical expenses start to be a major, unknown and unpredictable need. Retirement planning is a calculation exercise but retirement is life and in all probability, we don’t retire in a straight line. The way we set things up financially should make sense and this is the tricky part – it is not about products because no single product can do the job of providing for all the needs for all 3 phases of retirement. What will be good for the “Go-Go” years such as an investment portfolio of good quality dividend paying funds will not be a high priority for the “No-Go” years. What will be necessary for the “No-Go” years such as low risk guaranteed annuity plans and long-term care insurance may not be essential in the “Go-Go” years. There is really no easy one-step “Panadol” solution to the retirement planning problem. 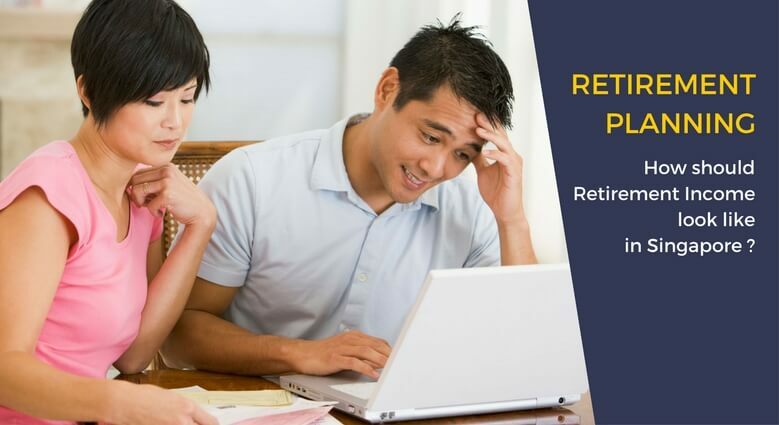 If you goggle “retirement planning” or “retirement planning Singapore”, the search results will show up a series of product recommendations, financial calculators or suggestions about saving more. While all of these are important, retirement planning should really be about “planning” first. And for Singaporeans, integrating CPF into the planning. Only when the orientation of what is required is properly understood will the financial calculations and product selection be useful in having the plan properly implemented. Planning for retirement can be frightening. For starters, we only have one chance to get it right. Also, there are so many things to consider and learn. Finally, the actual planning requires many assumptions and those assumptions can change through time. Yet, it is certain that one day, we will have to retire – either by choice or in some cases, by a lack of choices. It’s not something that will go away just because we don’t think about it. Besides starting the planning process early, being humble and learning continually is a must. 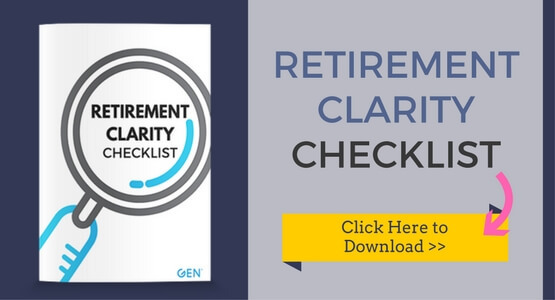 To help you explore how to plan and prepare for retirement income during the different phases of retirement, click here download our Retirement Clarity Checklist. This retirement clarity test is developed from many practical and real life retirement planning exercises that I’ve done for clients using the 3 phases (“Go-Go”, “Slow-Go” and “No-Go”) concept. It is essentially both a checklist and a planning tool for retirement. Good luck and Happy Go-Go Planning!